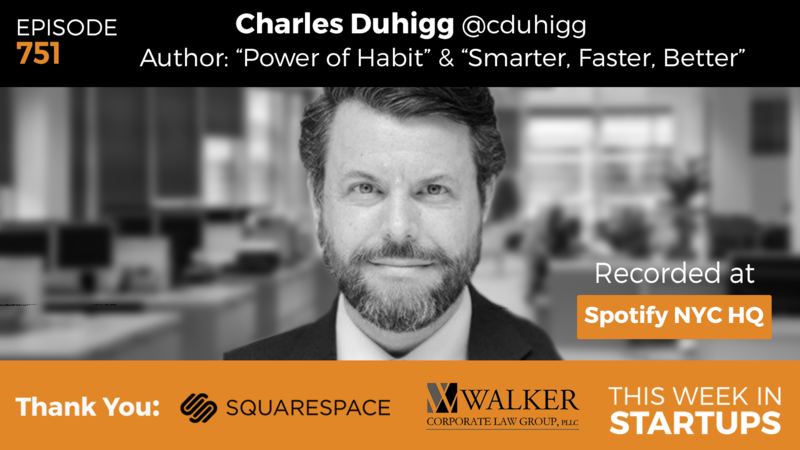 Filmed live at Spotify NYC, Jason interviews Charles Duhigg, Pulitzer Prize winner and author of “The Power of Habit” and “Smarter Faster Better”. Charles was one of a team of New York Times reporters who won the 2013 Pulitzer Prize for Explanatory Reporting for a series of 10 articles about the business practices of Apple and other technology companies. In this special episode, he shares insights into what led him to becoming a self-help guru, the roots of Donald Trump’s anti-intellectualism and how to overcome them, the immigration debate, and more. Plus, find out why SNL should have been the biggest failure on earth.